Uganda’s economy will not transform without a deliberate actionplan to transform, first, the informal economy! Friedrich Ebert Stiftung (FES) — a German Political Federation doing amarvelous job at articulating the real issues that affect real people in Uganda –invited me to present a paper on the role of the informal economy to Uganda’s economic development. Delving into research and diagnostic studies about Uganda’s informal economy enabled me to appreciate, further, the magnitude of the problems Uganda has to grapple with to transform the lives and well-being of her people. For starters, by informal economy we mean an amalgamation of unregistered and unlicensed self/family-owned micro, small and medium enterprises. Statistics are not the best metric to assess well-being. But in absence of a better measure, we shall always resort to statistics,reinforced by on-the-ground realities. Here we go: of the 7.3million households/families in Uganda (according to the national population census of 2014), 6.9 million (94%), are relying on rain-fed agriculture. Of the families in agriculture, 4.8 million (69%) wake up every morning and go to the garden to cultivate potatoes, maize, millet, matooke, cassava, and other staples only for own consumption (subsistence farming). In some parishes such as Bumwena in Malongosub-county, Mayuge district,nearly all families are engaged in subsistence farming. Of the 6,894 families in Bumwena, for example, 6,454(94%) are working their gardens so hard just to survive.The same is happeningin mostrural parts of Uganda. Some of theseUgandanswho depend on subsistence agriculture, and others who graduate from village/farming life, migrate to Kampala and other towns where they struggle to stay afloat in the informal economy. 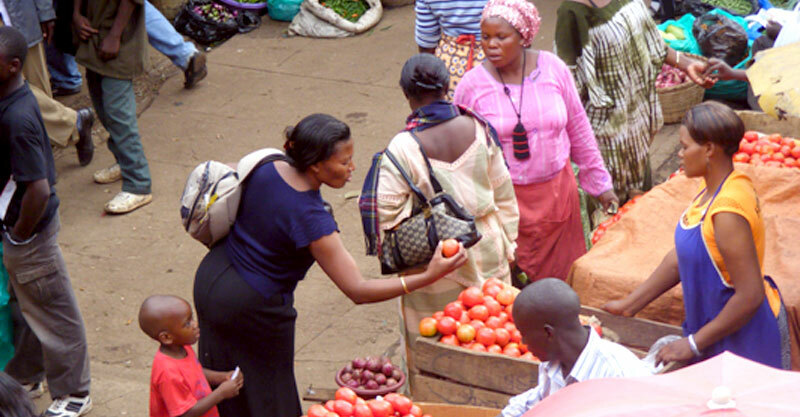 Estimates from the Uganda Bureau of Statistics (UBOS) and other surveysindicatethat over 2.4million families in Ugandadepend on the informal economy. Actually 90% (9 out of 10) Ugandans outside agriculture are in the informal economy.In other words, the informal economy is the real economy for a majority of indigenous Ugandans. Most importantly, it is the economy for the youth and women. Over 72% of the informal businesses are owned by the youth, while 70% of informal sole-proprietorshipsare run by women. I often listen to people suggesting things to transform Ugandans and the economy as if such people were visitors from mars. In the real Uganda these are the facts: over 57% of Ugandans participating in the informal economy are either illiterate (with no formal education at all) or semi-literate (did not complete primary education). Nearly 78% (8 out of every 10 Ugandans) use own or family savings as the only source of funding for their businesses.When it comes to saving, they save in a secret place at home, and seek financial advice from a family member or a friend (who is equally financially illiterate). Such Ugandans operate their “businesses” in a visible but contested domain in Kampalaor other towns of Uganda. The authorities at Kampala Capital City Authority (KCCA) and other Local Governments, as well as most of the elite, consider them (the vendors) a city nuisance who turn theminto congested, filthy, and disorganised metropolises. Yet, the way informal businesses are operating is the most rational way of doing business where costs of abiding by existing laws in the pursuit of legitimate economic objectives exceed the benefits. For lack of pragmatic planning, vendors locate themselves at strategic points with heavy human traffic – main roads and streets, near shopping centres or at corners where they can be seen by pedestrians and motorists. Allocation of vending/market sites by KCCA outside the central business district (CBD) has been rejected by the vendors, becausesuch places, as Usafi market, are not accessible to customers. Those are the realities about informal economy in Uganda, an economy that contributes nearly half of Uganda’s GDP and employs,as indicated above, 90% of the non-agricultural labour. Yet, the smart Ugandans at Ministry of Finance (MoFPED), Bank of Uganda (BoU), National Planning Authority (NPA), and other government agenciescan afford to ignore the true economy for Ugandans while putting together their fiscaland monetary policies and national development plans. Our authorities want a budget that resembles (in structure and strategy) those of European and American economies.In pursuit of macroeconomic goals (low inflation, GDP growth, big reserves at BoU and stable exchange rate), economists at MoFPEDprepare a budget that meets conditions of IMF’s policy support instrument (PSI),medium-term expenditure framework (MTEF), national development plan (NDP), andsector development plans (SDPs). Our authorities lack the universal wisdom that everywhere is different. Uganda is not Canada or South Africa. Realismrequires that we plan and budget for the economy that we have. I have described the true economy for Uganda. Where is it in the2018/19 budget? My recommendation is twofold. First, let us correct the policy biases that led our planners to abandon the true economy for Ugandans. We may need to start with mindset change of these people. Second, we need toinstitutionalise the informal economy by integrating it in the national budget, the NDP, investment policy, monetary policy, and tax policy. In line with its contribution to the national output, half of the budget, preferably starting with the 2019/20 financial year, should be planned forthe informal economy. The budget should design an incentive package for informal businesses, including low priced micro-credit, basic trainingprogramme for informalbusinesses in aspects such as proper book keeping; business registration, management, andupgrading skills; marketing skills; financial literacy; business development services; and so on. Instead of planning for political roads that dominate the budget year-in-year-out, let the 2019/20 budget talk about improvement of infrastructure for informal operators such as market stalls, artisan parks, Jua-kali, and public transport in Greater Kampala and other towns. Let the NDP III plan for vendors’ markets, put together through a participatory process. 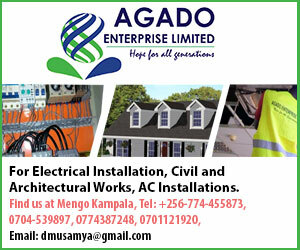 Let the infrastructure designs be informed by Ugandan culture and economic structure. New streets should cater for mobile vendors or hawkers and roadside markets since Ugandans often shop randomly. It may sound petty, but that is the culture (the way Ugandans do things). Let us plan for Ugandans, not for what Ugandans ought to be! Let the 2019/20 budget provide resources for decent low-cost housing. The password here is “low cost”.Most of the projects for the so-called low cost housing were captured by the elite. You cannot call a Shs. 200 million house low cost. The budget should also provide resources for redevelopment of slums in Kampala in a phased manner. Let’s start by purchasing the land on which the slums sit; then put up apartments that Ugandans earning as low as Shs. 200,000 a month can afford. I know this may sound populist to an elite seated in an air-conditioned office NPA, but reality is that the amount cited is even above the monthly median income for a Ugandan (according to the latest national Household Survey). To achieve all these, we need to overhaul first, the macroeconomic framework used to manage this economy.The state need to regain control and influence over the economic agents.Secondly, the regulatory and legal frameworks need to be made pragmatic and enforceable, allowing levels of flexibility so as we may move from rigid law-enforcers at KCCA to facilitators of development. Informal economy is not only here to stay; it is the economy that keeps the masses outside agriculture afloat.It is helping thousands of Ugandans every year to shift their livelihoods from agriculture and village life to the modern economy and city life. It is supplying low-cost goods and services for low income citizens (the masses). It is also the catchment reservoir for jobseekers; those forced out of agriculture and those that cannot find a job in the formal sector (the majority).Statistics indicate there is only one job for every 500 qualified Ugandans. The 499 “unlucky” seek refuge in the informal economy. It also provides a safe-haven for the poor, widows, single mothers, orphans, and the uneducated Ugandans. It develops entrepreneurship since the youth use the informal economy to test and unleash their entrepreneurial abilities. There is a strong view — which is not supported by empirical evidence — that the informal economy jeopardisestax revenue collection efforts. Well, the wise thing to do is not to just lament about it. Let us create an environment that turns the odds against informality and in favour of formalisation.At the moment,government strategy ofcoercingUgandans to register their businesses with URA, KCCA, and URSB (under the so-called Taxpayer Register Expansion Program – TREP) signals danger (taxes, license fees, registration fees) than benefits. Good policy should flagbenefits of formalisation, such as those I mentioned above -lowpriced micro-credit, basic training programme in proper book keeping; business registration, management, and upgrading skills; marketing skills; financial literacy; and business development services. Whoever is not seeing sense in this, simply imagine a Kampala without vendors.If yousee a calm, clean,and uncongested city, think about the symbiotic relationship between the informalbusinesses and big corporations. How would the large corporation perform without the small informal businesses? Did you know that informal businesses provide market for the products produced by large businesses? Did you know that SMEs supply big corporations with raw materials?Do you now see how promotion of the informal economy will be an indirect way of promoting growth of the macro economy? Whydon’t we then profess the economics that works?Let FY 2019/20 be the turning point. Are Ugandans unbothered about their bad economy?